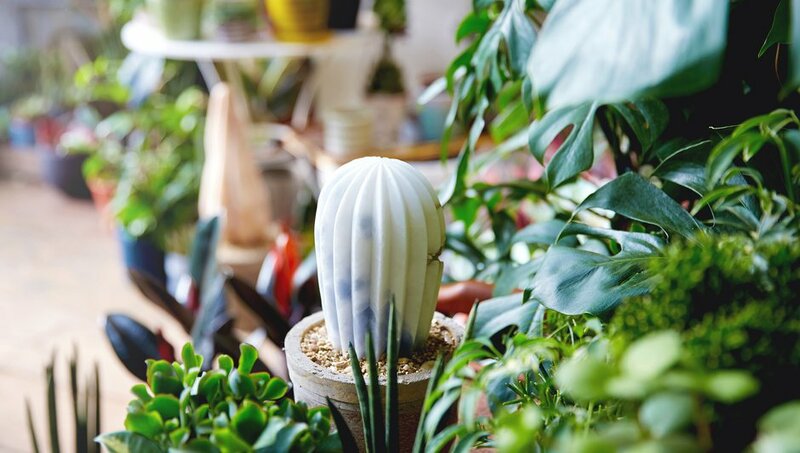 Home to a vast collection of house plants, succulents and extraordinary cacti, all alongside an ever changing selection of mid-century furniture. Co-founders Jin Ahn and Giacomo Plazzotta are bringing indoor gardening to the city. Ahn, born and raised in Seoul, South Korea moved to the UK in 2010 to change her career and in the quietness of the countryside she awoke a passion for horticulture and an idea was born. 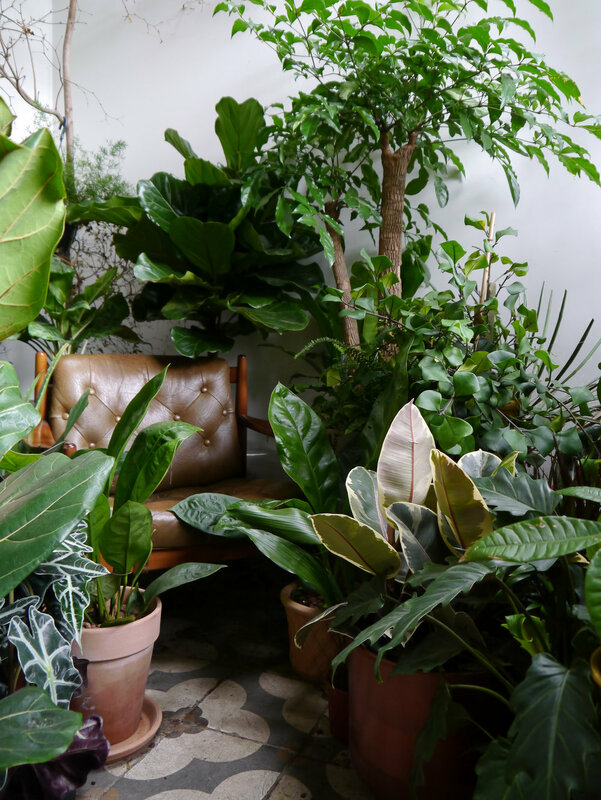 In early 2016 Jin and Giacomo opened Conservatory Archives in East London dedicated to indoor plants and furniture. Jin advises customers on what kind of plants would be suitable for their space and how to look after them. She is kind and utterly enthusiastic about her plants. The plants are treated like living sculptures, natural works of art. They have curated some fantastic instillations recently, from Asif Khan’s ‘Forests' at the London Design Festival. 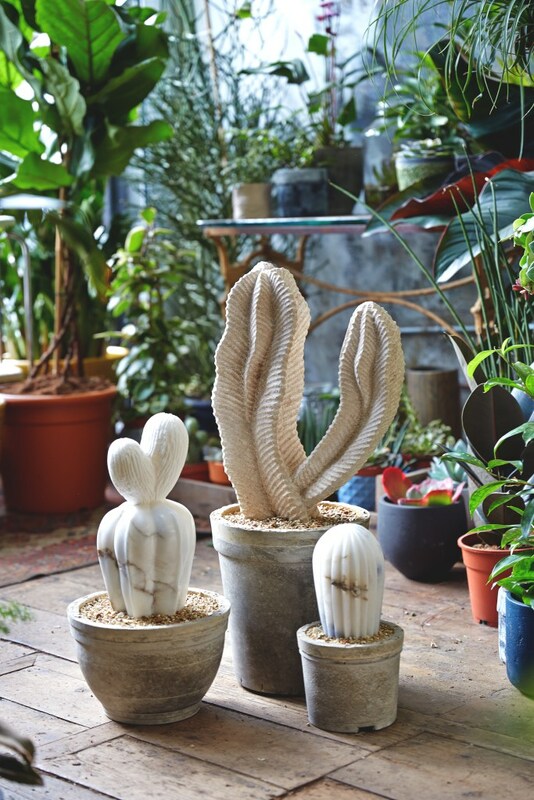 The planting, instillation and maintenance for the Ace Hotel Shoreditch and The Hignel Gallery’s brilliant ‘Cactus House’ installation, carved stone cacti and real plants by Ben Russell, which is well worth seeing if you are ever down near Shepherds Market. Images above via The Hignell Gallery.